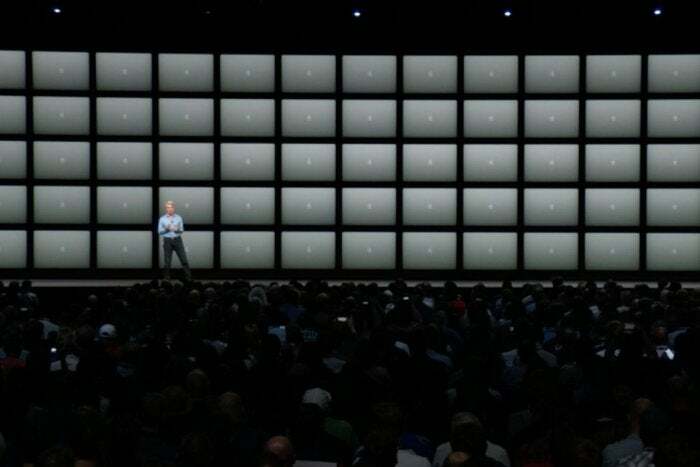 We’ve been wanting it for years, and Apple has finally delivered. 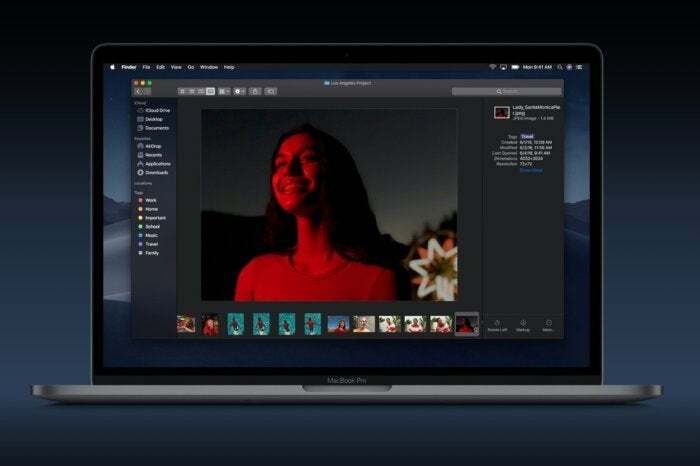 That’s right: macOS Mojave supports a Dark Mode. 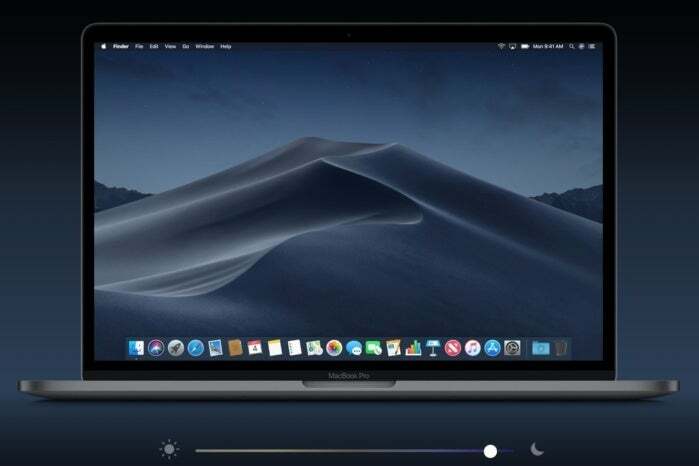 Dark Mode doesn’t change the way your operating system works, but it does change typically white macOS screen elements like the dock, taskbar, and windows to something that’s more akin to Apple’s beloved space gray for hardware. It even works with Xcode. Considering that space gray peripherals are now available for Macs apart from the iMac Pro, it’s a perfect time to introduce it. It simply looks good, and appearances are always important for Apple. I've never been one of those people who can work with a messy desktop, and I sometimes waste a good amount of work time deleting and organizing my files. With Mojave, that'll be less of a problem. 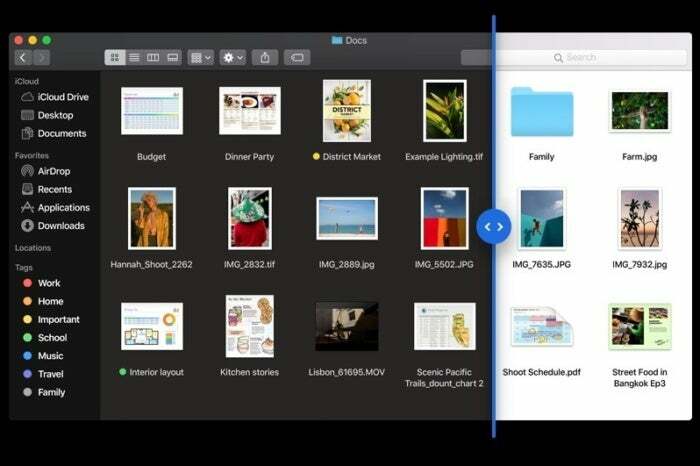 Apple is introducing a new Desktop Stacks feature that automatically collects specific file types (such as PDFs) into a single pile. When you want to sift through the pile, just click on the stack and it'll expand to show the files you need, while other file types remain conveniently (and unobtrusively) in their stacks. 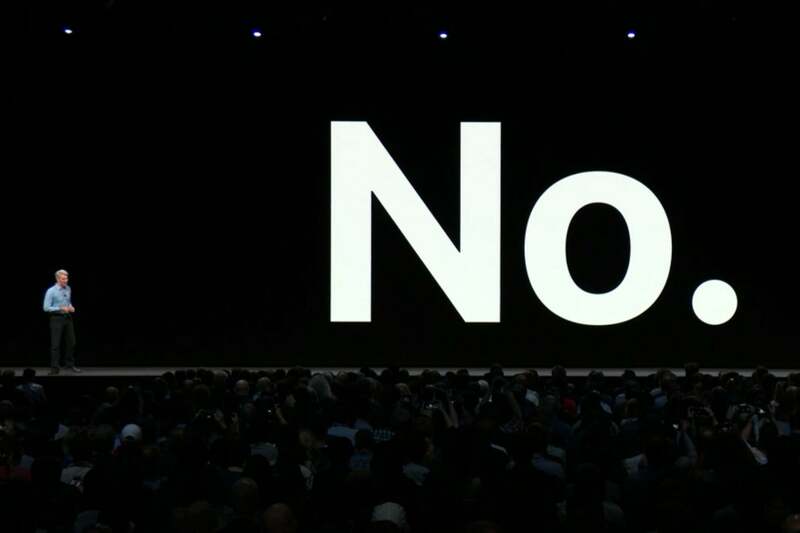 Federighi shut down any rumors that iOS and Mac would merge today with a definitive, stage-high "No," in stark white letters. But there will be some compromises. In one of the simplest, popular iOS apps like Apple News, Voice Memos, Home, and Stocks will make their way over to the Mac. 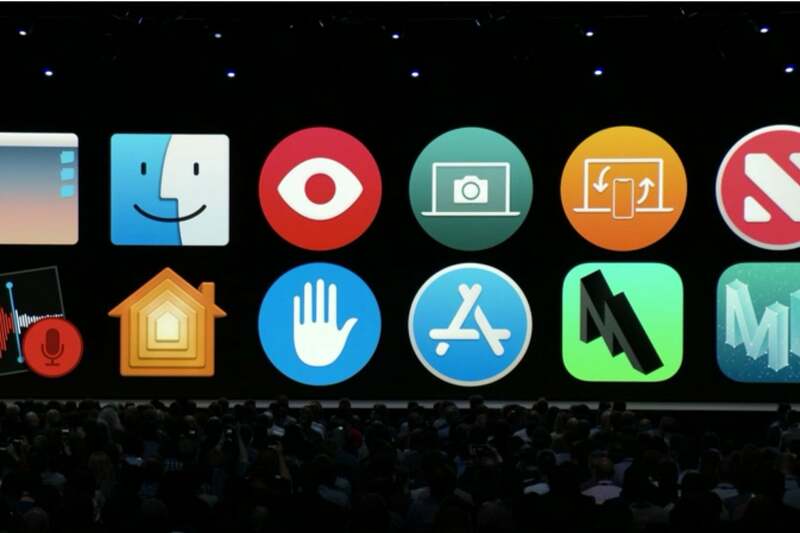 Popular iOS apps like Apple News, Voice Memos, Home, and Stocks will make their way over to the Mac. And the iOS/Mac crossover isn’t merely limited to Apple's own stuff. 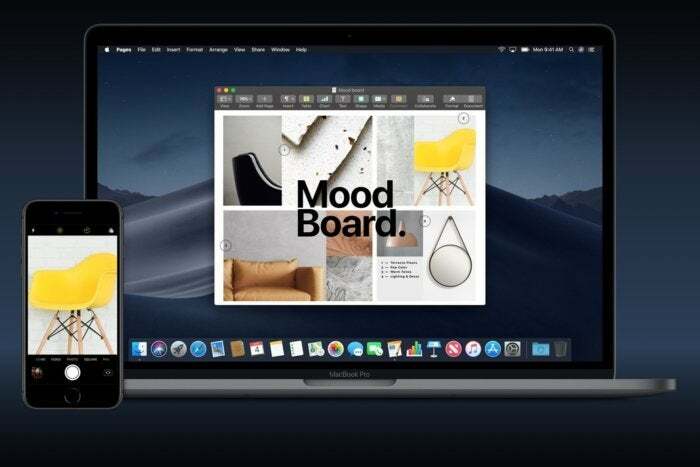 Apple is taking UIKit from iOS and implementing it into the macOS framework, allowing third-party developers to more easily be able to port apps from iOS to the Mac. According to Apple, it's a simple process and will be ready in 2019. Privacy, as you no doubt know, has kind of become Apple’s Big Thing. 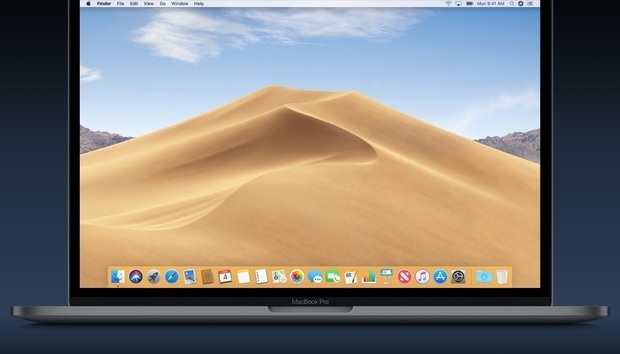 In macOS Mojave, Apple will use popups more frequently to tell you if an app is trying to access information such as your location, photos, or microphones, much as we already see on iOS. This commitment to privacy extends to Safari, which will keep Facebook and similar social networks from tracking you throughout the internet. 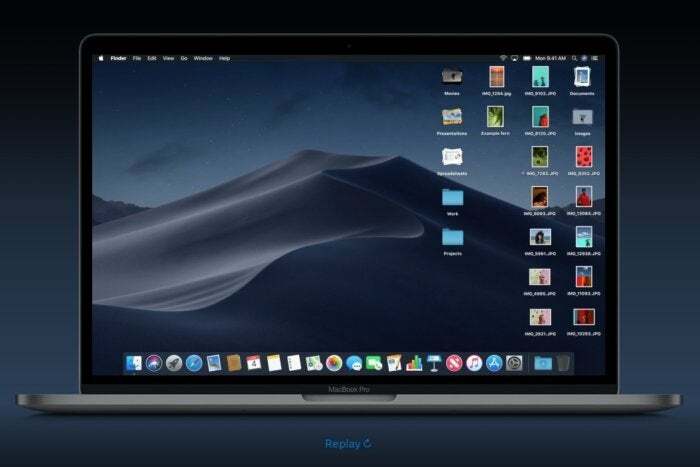 Perhaps most impressively, Apple is actively working to make one Mac seem virtually indistinguishable from the other in order to thwart trackers. This is a big one for me, as I often use the same feature on iOS. In essence, you’ll be able to write or draw on a photo or document, which allows you to point out a landmark or a key phrase, for example, before sending it off to a friend. And just like in iOS, taking a screenshot will automatically give you an option to mark it up. It’ll go a long way toward making the screenshot tool more useful (although it’s quite a shame we won’t be able to use an Apple Pencil with it). Even better, you can share the marked-up files directly from Quick Look, and you can customize the rules for what happens when you take screenshots. Finder’s blazing speed is one of the greatest things about using a Mac, and in macOS Mojave, it’s going to get significantly more useful. With Mojave, we’ll have access to a new “gallery” view, which keeps most of the files in thumbnail mode but keeps the main image selected in a size that fills the screen in all its glory. Improved metadata gives a massive amount of information about the file you have singled out while scrolling through each file. Federighi specifically used an image file to illustrate the feature—which revealed information about a file’s dimension, exposure time, ISO, and other factors—and that seems like one of the best uses for it. 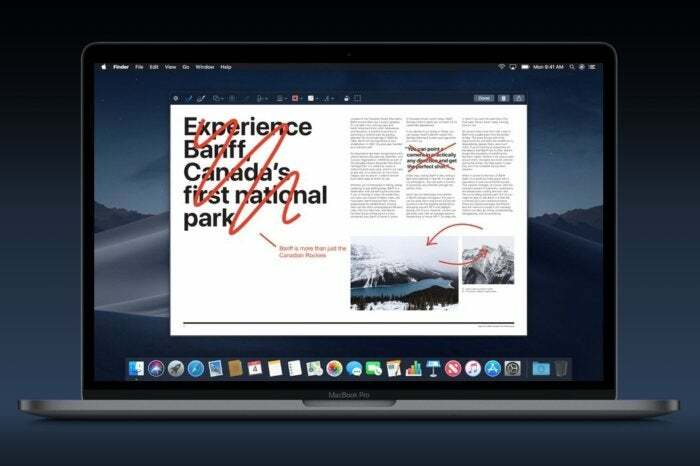 Apple introduced a feature called Continuity Camera, which allows for such handy features as scanning a document on your iPhone and then having it appear on your Mac. Otherwise, you can take a photo from your phone and have it appear immediately in a Pages document. This is something I'll end up using often. Currently, similar actions often involve a messy process of emailing the photo to the Mac, or (with iCloud enabled) finding it in Photos after it syncs. Especially with research, this could save a ton of time. Much like the related Dark Mode, Dynamic Desktops is mainly a cosmetic update, but it’s a cool one. Essentially, a photo of a scene will change from showing the setting at daytime to nighttime in sync with the real-world day and night. At the moment, we’re not sure whether you’re stuck using Apple’s own wallpapers for this, but that seems likely, given the state of similar dynamic wallpapers on the iPhone. Apple has been hard at work making all of its service interfaces look essentially like Apple Music on iOS, and...well, I'm not so sure how I feel about that. 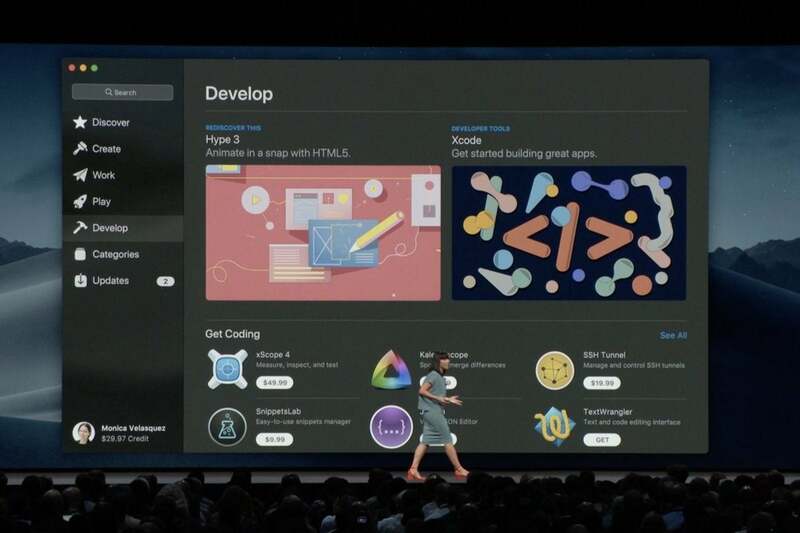 But on the bright side, the upcoming design refresh of the macOS App Store certainly looks attractive, and it's filled with the kinds of huge banners we've become familiar with on the App Store on iOS. Even better, it's got now got handy general topic headings for apps associated with creating, working, playing, and developing. Is it oversimplification? I'm thinking it may be, but I'm excited to try it out so I can find out.